Charmed: Enchanting Deals on DVDs, Books, and More! 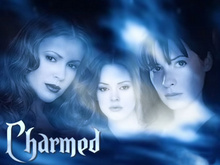 Debuting back in 1998, Charmed tells the story of the Halliwell sisters, a trio of heroic witches. Phoebe (Alyssa Milano) returns to San Francisco and moves in with her older sisters Prue (Shannen Doherty) and Piper (Holly Marie Combs). On her first night back, Phoebe finds the family’s Book of Shadows and recites a spell which gives all three women unique powers. Together, they battle evil by harnessing their magical and legendary power of three. When Prue dies in battle, Phoebe and Piper are joined by their half-sister Paige (Rose McGowan) and together, they continue to fight for innocent mortals everywhere. Charmed: The Halliwell Sisters to Return — in Comics! Charmed: Which Halliwell Sister Keeps You Bewitched?